You’ll find everything you need for your office in one place with our range of office supplies and equipment. Discover how simple it is to buy or upgrade with the latest in office solutions and all the accessories you need to make your working environment run smoothly. Print, shred, label and laminate in an instant with some of the industry’s leading brands and fully prepare your office for every eventuality. 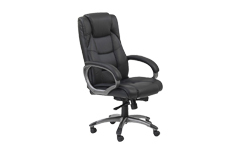 You can even choose from a selection of our office furniture designed for comfort and durability. Stay stocked up with all of the necessities such as printing and photo paper as well as labels and Dictaphones. With the choice of A4 and A3 paper, you will be able to choose the perfect paper for every occasion. 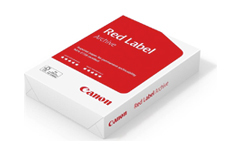 There are ranges suitable for both inkjet and laser printers, so you can guarantee your documents look their best, no matter what you're printing. We stock a range of grades, whiteness and finishes. With choices from a number of market leading brands, you'll be able to safeguard your identity and ensure your personal details don’t fall into the wrong hands. 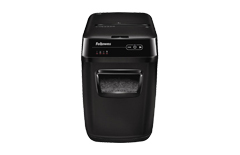 Take a look at our range of shredders on offer, from heavy duty to home office suited machines. 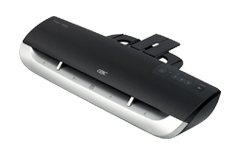 Protect almost anything from business handout sheets to ID cards when using our range of laminators. With super fast heat up times and anti-jam mechanisms, you’ll be able to cherish your children’s first painting or progress charts at the touch of a button. 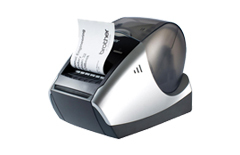 For home and business use alike, our labels and label printers will ensure all your documents are organised and easy to navigate through. Eliminating the need for frustrating ink replacement, our direct thermal printing technology gives you fuss-free printing. We also have a range of labels to choose from. Make yourself comfortable with our range of chairs and desks, all engineered to last whilst fitting in to a variety of office styles. With features offering versatility, style and comfort, you will be spoilt for choice. 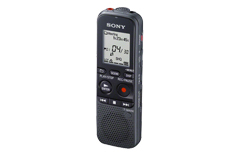 With up to 44 hours recording time, catch everything you need with our broad range of dictaphones, suitable for all situations. Enjoy high quality recording and playback, perfect for recording lectures, meetings or interviews.